The Little Black Dress Initiative (LBDI) is a global initiative started by the Junior League of London to raise awareness of the impact of generational poverty. Advocates wear one black dress (or outfit) for five consecutive days to illustrate the effects poverty can have on a woman’s access to resources, her confidence and professional opportunities. Each Advocate wears along with her dress a pin that reads “Ask Me About My Dress”, which invites dialogue among colleagues, friends and strangers about this important initiative. Throughout the week, the JLA and LBDI Advocates seek to raise awareness and funds for issues surrounding generational poverty. The week of October 22-26, 2018 will mark the 4th year of the Little Black Dress Initiative, which has raised nearly $225,000 towards our mission since its inception.Awareness was raised with aspecial pagein the Atlanta Business Chronicle, asegment on CNN‘s HLN during the inaugural LBDI as well as unprecedented social media coverage. 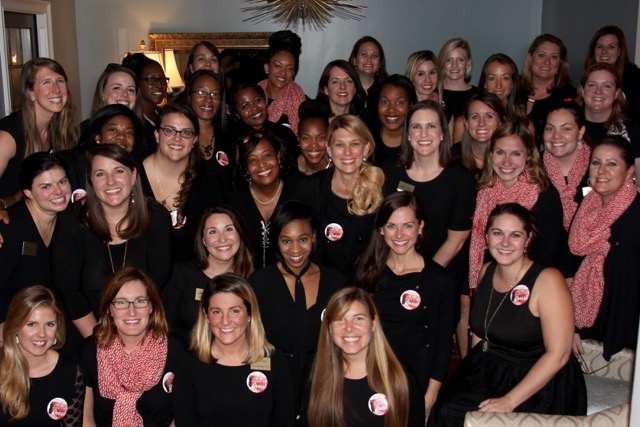 The program was awarded the Phoenix Award by the Public Relations Society of America, Georgia Chapter in 2016 and the Fund Development Award by Junior League International in 2017. Funds raised through the Little Black Dress Initiative allow the JLA to dramatically improve our community through our partnerships with 100 community partners and provide our volunteers with leadership, training, and development opportunities. Since 2015, the JLA’s LBDI has raised nearly $225,000 to support the mission of the JLA.